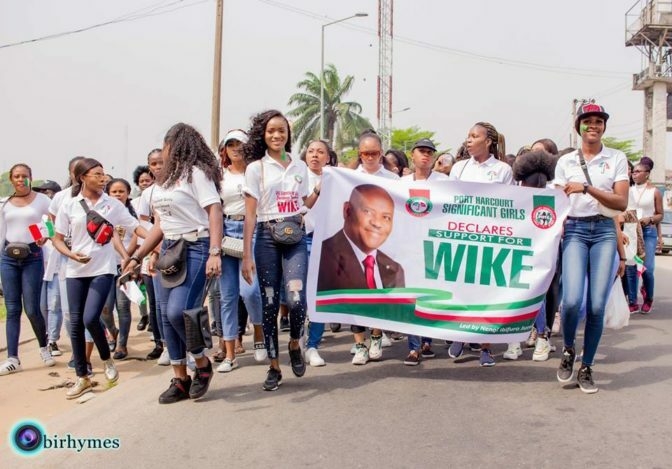 Governor Nyesom Wike of Rivers state has been endorsed by Port-harcourt based slay queens. 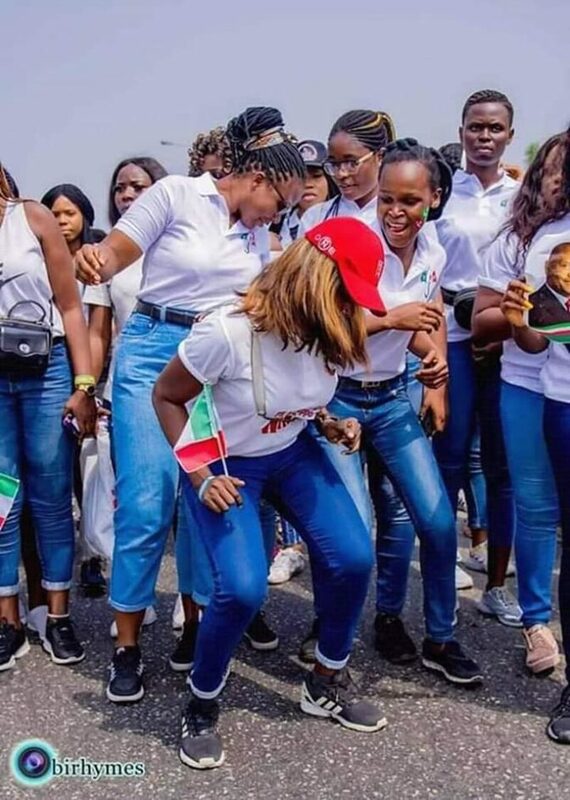 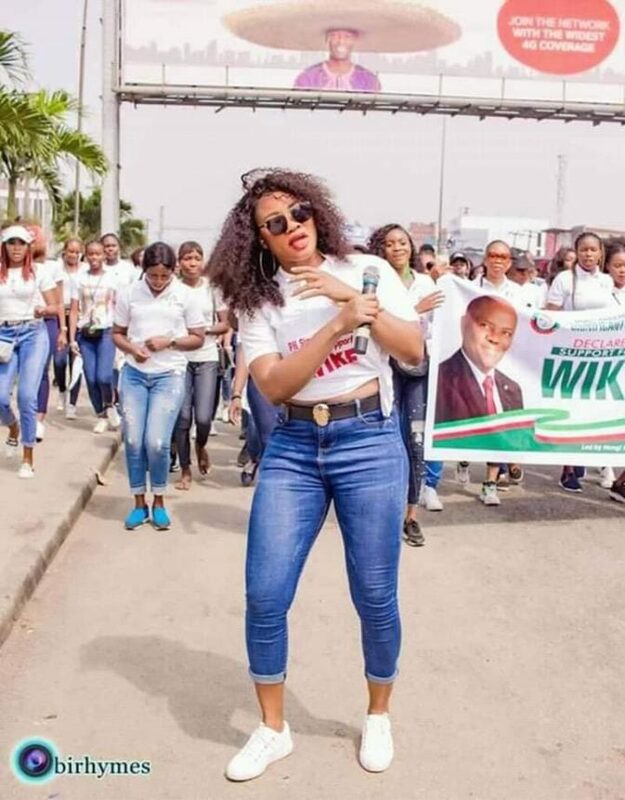 The beautiful slay queens of Port Harcourt took to the streets of Port-Harcourt yesterday (February 10 2019) to campaign wittingly for Wike’s re-election in the coming polls. 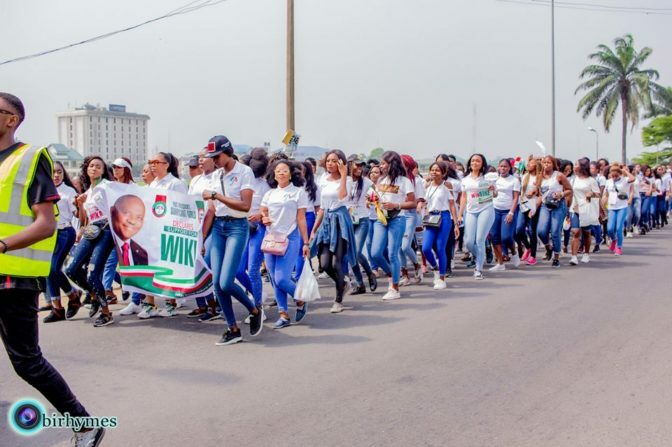 The slay queens who were led by their leader, Nengi Ibifuro Jumbo, urged the people to vote for the governor once more as he has a lot more to offer to the people of the state.